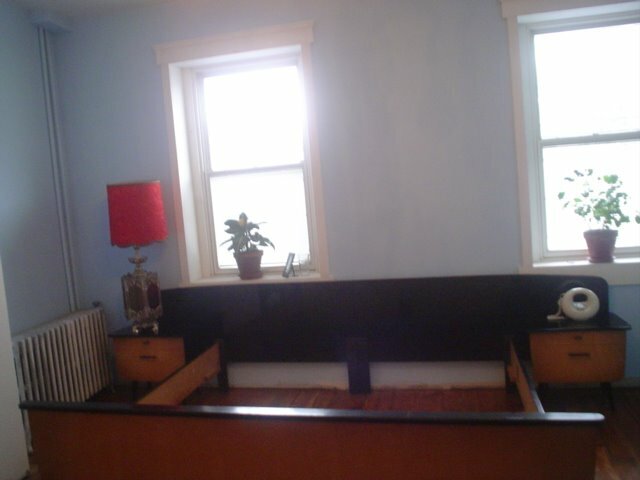 These are some pictures of the master bedroom while we were setting up the bedroom furniture. The picture below shows the bed frame. I ended up buying the bed frame, matching chifforobe, matching dressing table and matching end tables by accident! 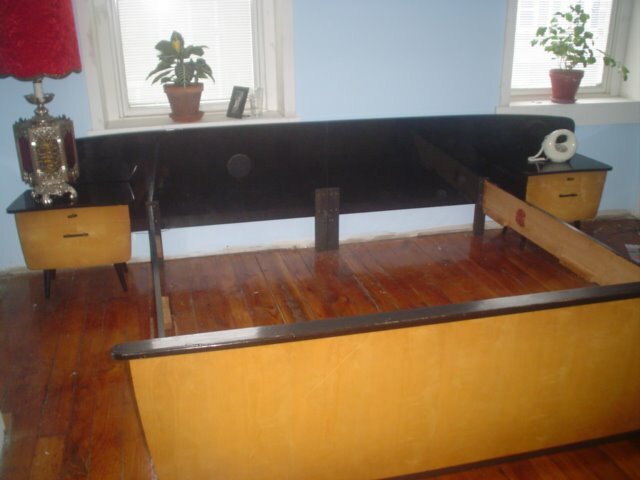 I went to Freeman’s auction house on Chestnut Street, in Philadelphia and found what I thought were two end tables and a dressing table. I placed an absentee bid for a maximum amount of $175. I was totally excited when I got a call from Freeman’s telling me that I had won the items. I went to pay and pick up the items when I found out that I had won a King size bed frame and a Chifforobe in addition to the end tables and dressing table. Clearly we couldn’t fit all this in our tiny car so we had to find someone with a truck! We managed to get all the stuff in to our tiny apartment in center city (all the furniture had to be carried up a winding staircase). There was no place to set up the bed so we basically stored the headboard, footboard and all the many other parts under tables, behind couches and underneath our bed. The picture below shows a closeup of the wood. What can I say other than that I totally scored. I have no idea who the maker of this fabulous furniture is other than the labels on all the pieces say that they were made in West Germany. I would guess that they are from the 1950s. 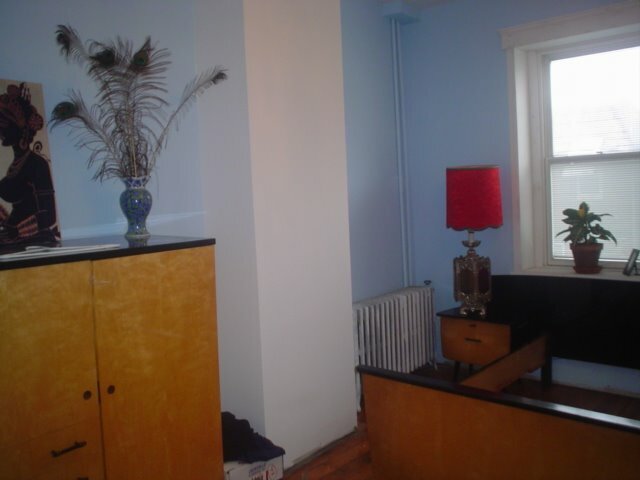 You can see a little bit of the chifforobe in the picture below. I don’t generally like all my furniture (or plates, or mugs) to match but I love this furniture all together. I am so glad that all these pieces fit in our room. I will post some pictures of the dressing table this week. The picture of the bed room is a little outdated but the furniture arrangement is the same. The furniture weighs too much to move around.